As we are getting close to the transition from Yuma to the Salinas Valley I have some information that may challenge us for several weeks to come. This morning we had freezing temperatures all across the growing regions in California. 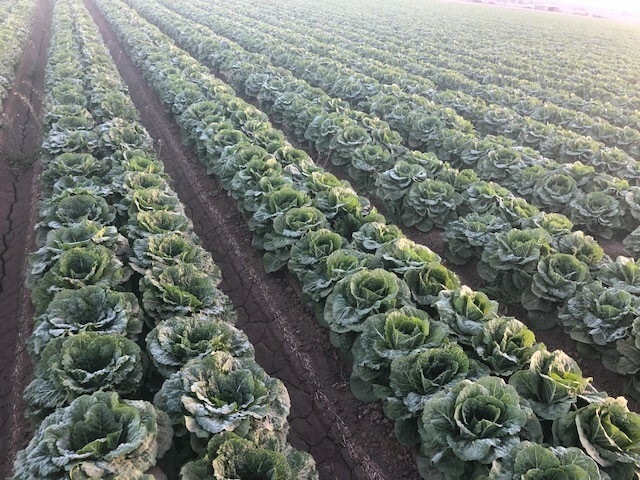 We are nearing the end of the Yuma growing season so the damage that was done today will follow us through the transition to the Salinas Valley. Unfortunately Huron was hit by these cold temps as well. 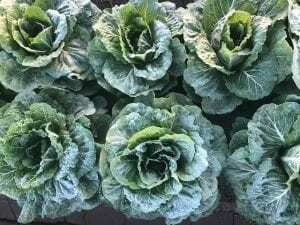 What you can expect for some time on row crop products like romaine, green leaf, red leaf, iceberg, cauliflower, broccoli, possibly some of the more tender greens like spring mix and spinach is epidermal peel and blistering. What this is like is a sunburn or freezer burn for humans. The outer edges of the lettuce items have a natural protectant like skin layer. If the integrity of this epidermal layer is breached the further processed items like salad mixes and blends will lose shelf life due to the added mechanical damage during processing. Whole product will also be affected and shelf life will be shortened. We will be monitoring this heavily over the next few weeks and do our best to keep quality items for you and your teams. Please keep in mind that during these difficult transitional times market pricing is a challenge on whole product and may be volatile at times. The escalators built into the value added items may become necessary to implement however I will give notice to those who contract these items. A weakening low pressure system drifts into Northern California tonight with light rain expected across Central California through the weekend. This system moves into Southern California over the weekend. A stronger system moves in on Monday bringing significant precipitation to California next week. 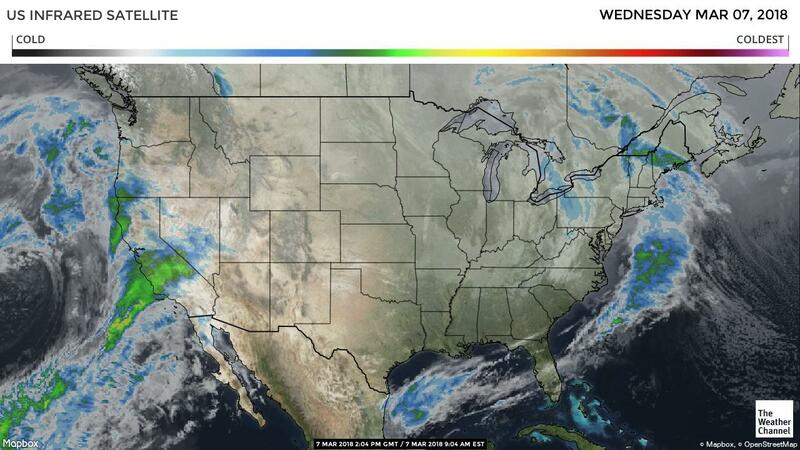 Long range forecasts keep the wet pattern in place out west through at least March 21st. A strong high pressure ridge keeps Central and Northern Mexico warm with limited light rain showers into next week. The Southwestern Desert regions remain under a fluctuation ridge with periods of gusty winds and slight chance of rain as a series cold fronts pass to the north. A cold front continues to move through Florida today followed by dry conditions into the weekend. A couple of slow-moving frontal systems look to move into the state by Sunday into early next week with substantial rainfall associated with these storms. California/Yuma trucks continue to be steady. Washington apple truck supply is adequate. Idaho onion/potato trucks are steady as well. The national average for diesel remained steady is currently at 2.992 per gallon. An increase of .413 from this time last year. 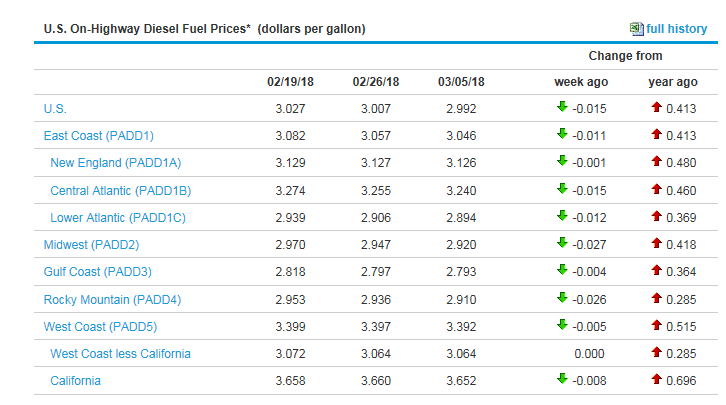 California prices remained steady and are now at 3.652 per gallon. Crude oil remained steady and is currently at 62.21 per barrel. Cilantro: Supplies have decreased significantly from previous freezing temperatures in Mexico and Yuma. The market is trending much higher. Citrus (Limes): Supplies remain limited and markets are active. Onions: Storages supplies are starting to wind down and will transition into Mexico, Texas, and Southern California as we get into April. Apples: Chilean Galas are due to arrive early next week. Berries (Blueberries): California production is expected to slowly ramp up toward the end of March to the beginning of April. Florida will start by the end of the month and Georgia will get going in April. Chilean production will start to slow down moving forward. Berries (Blackberries): California will gradually ramp up harvest over the next 2-4 weeks. Berries (Raspberries): California production will gradually increase over the next 2-3 weeks. Cauliflower: We will slowly transition to Salinas over the next couple of weeks. This should help the supply gap. Berries (Strawberries): Mexico and Florida seasons are winding down. Santa Maria will ramp up. Salinas and Watsonville will look to start by April. Onions: New Crop Mexico Yellow, Red and White onions hard in the heart of their season. Apples: Washington, Pennsylvania, Michigan, and New York are still in the peak of their seasons. Pears: Washington is still in the peak of its D'anjou, Bosc, and red pear seasons. Chile is still in the peak of its season. Potatoes (colored): Eastern Washington, Idaho, North Dakota, and south Florida are all in the peak of their respective seasons. Melon (Cantaloupe): Honduras is still in the peak of its Cantaloupe season. Melon (Honeydew): Honduras is still in the peak of its Honeydew season.